"I love myself... So it's about time I show it and start taking care of my body." 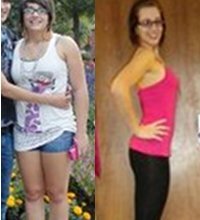 Those are the motivational words that Diet.com member Brittany included in her member profile when she created her Diet.com account in early January of 2013. Four months later, she'd dropped 25 pounds, picked up some new support buddies, won a Weight Loss Challenge, acquired tons of new fitness inspiration, and found the determination and focus that she needed to start reaching her goals. 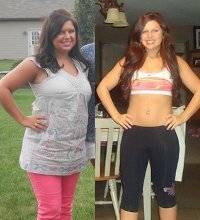 Kaylie knew that if she wanted to lose weight and keep it off, she needed to make a permanent change. After 2+ years of blogging on Diet.com, she's not only lost 25 lbs, but she's kept it off, picked up a slew of healthy new eating habits and become a certified fitness instructor! "I am happier and I have a lot more self-confidence when I am very active and eating clean." When Anna, aka Danceforever34, started college in September, she was looking to improve her health and meet her goal weight. 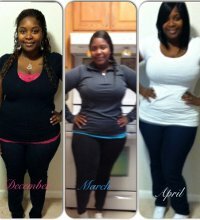 Three months and 28 lbs later, she met her goal... and she's not stopping yet! Find out how she did it, and why her family is saying, "Wow!" Stephanie had been a Diet.com member for several years, and began blogging with us in October 2008. 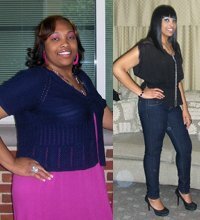 With a starting weight of 280lbs, Stephanie had a goal of losing 100 lbs. Now down 90lbs (so far! ), she's well on her way to a new life - emotionally and physically! "I'm going to keep up with my lifestyle change. I really like being healthy and I love the change I see in myself." 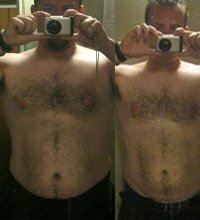 Tired of trying every different method of weight loss and seeing limited success, it was the accountability of the Diet.com blogs and community that finally led Tom to say, "I won't fail!"... and drop 37 lbs! "I had a responsibility to keep pushing and lose the weight, not just for myself, but for those on Diet.com who were supporting me."